I have been closely tapped into the buzz surrounding Bloomington’s Secretly Canadian artist Nite Jewel. It did not matter which blog I read, I could not escape the build up to the release of One Second of Love. While Nite Jewel was new to me, the strength of the release was reaffirmed in too many different locations to ignore. Nite Jewel has spent the last four years on an EP release cycle since her 2008 LP Good Evening. By giving her fans just enough since her first full release, she has found a way to engage and grow her following. Romona Gonzalez is the comforting voice behind the Nite Jewel project. Created in Los Angeles, Gonzalez has found a unique way to attract and maintain relevancy in the one and done independent music scene. Nite Jewel followed Good Evening by releasing three separate EP’s: Want You Back, You F O, and Am I Real. Leaning on extended plays, Nite Jewel, has countered obscurity by constantly satisfying listeners’ short attention spans. This style has been leveraged by artists such as Toro y Moi and is beginning to provide some statistical data to back up the approach. The fact that One Second of Love was released from a local label should make local readers proud. Left coast bred and Bloomington fed, the attention surrounding Nite Jewel has helped give our local scene some more deserved national buzz. While listening to One Second of Love I begin to identify many important moments that carry me from track to track. Synths help support Gonzalez’s deep melodies throughout the entire record. Many moods appear while listening. Some sound happy like Class Actress and others sound dark like Bat for Lashes. The dichotomy of sound and provides a comforting contrast. Coming across more eager than anxious, Nite Jewel displays a subtle confidence that earns my attention. Title track, “One Second of Love” pops off with a catchy HQ rhythm and funky synth line. It’s simple, soothing, and now I’m sold. As the chorus repeats, the listener is able to identify Nite Jewel’s ability to transition quickly between ranges. With many artists, such transitions can wind up sloppy and distracting. However, with Nite Jewel pulls makes the switch seamlessly, each and every time. “Autograph” serves as the darling of this record for me. Gonzalez showcases her versatility, dropping a 90s pop, female R&B vibe. She smoothly states that “I still got your autograph, it is on my heart”. This line could have been ripped out of the Zhane discography and I would not have noticed any difference. As Nite Jewel strikes my sweet spot, I begin to think that Secretly Canadian must be proud to have her autograph inked to their hearts. 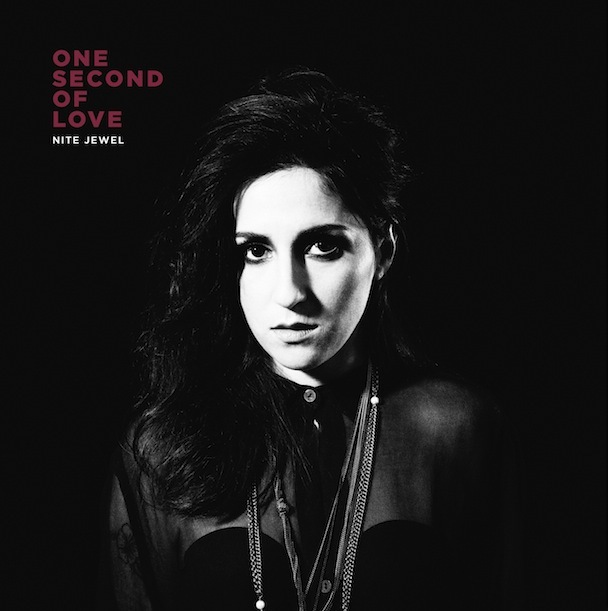 Nite Jewel’s massive vocal range mixed with contrasting melodies makes this project worth a listen. I am excited to see what happens after this record marinates in listeners minds. My guess is that it will continue to garner attention, leaving listeners anticipating Gonzalez’s next move. I recommend that you sit back and relax with this one for a while.